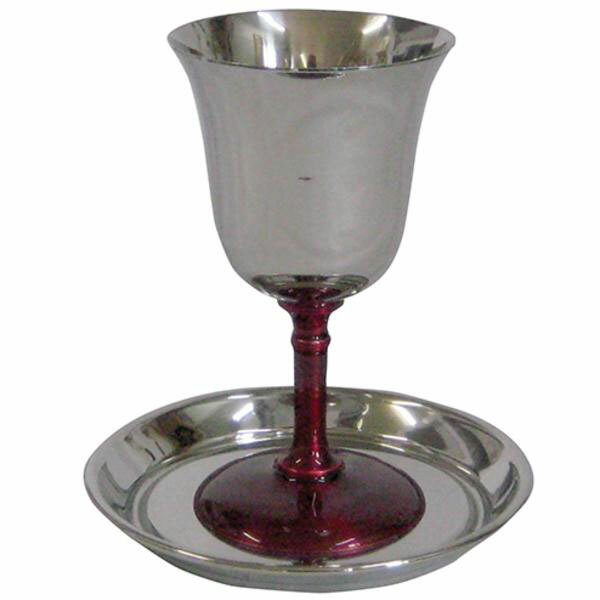 Beautiful Kiddush Cup with red enamel stem and matching saucer. Uplift your Shabbat Kiddush, without breaking the bank! You will have the option to personalize this cup as you proceed to checkout.